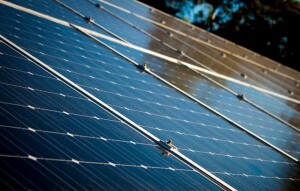 Going Green: More Solar! - Home Designing Service Ltd.
How Much Solar Would It Take to Power the Country? Elon Musk wants to power the US with solar and it seems easier than you might think. He needs a small corner of a western state, like Utah or Nevada, just 100 square miles of solar panels. That would be enough to power the entire continental United States 24/7. And the battery, or batteries to hold all that delicious, buttery sun juice? Just 1 mile square. This was just a few days ago, which, of course, means that it can probably be done with less now. 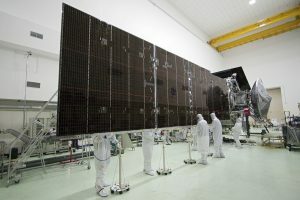 Scientists have just put out a solar panel that almost doubles the efficiency of absorption over current leading panels. The parts are transfer printed, which makes them super precise and then is made from stuff normally reserved for infrared lasers, which helps it absorb every part of the direct light. Elsewhere, this startup called Physee is whipping out these things called PowerWindows. 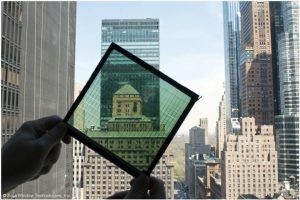 They’re your typical business-style windows, except they’re designed to channel the light that hits them toward the solar collectors around their edges. 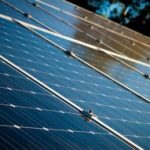 A Dutch bank has already gone energy neutral by switching to them, and the next edition is on track to produce triple the energy. They’re going to coat the windows with space magic that will transform incoming light into near-infrared that’ll then get sucked up by those collectors. This stuff just keeps getting better and better. Those Solar Roofs I talked about last time, Tesla gave them an “Infinity Warranty.” With the info release, Telsa said, “Glass solar tiles are so durable, they are warrantied for the lifetime of your house, or infinity, whichever comes first.” Infinity, guys! That is LITERALLY forever. 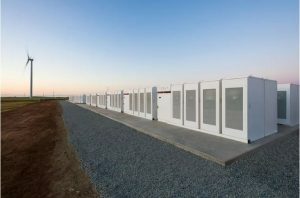 Tesla’s also picked up a bid to create the largest lithium-ion battery in the world to combat South Australia’s power outages. The 100MW/129MWh battery will be completed in December 2017 and, according to Tesla, will power 30,000 homes. Tesla has quickly become the Google of solar energy. While, sure, Google isn’t the entirety of the Internet, a vast majority of people use a Google-powered phone with a Google made Internet browser to listen to music from Google Play or Google-owned Youtube, sharing them across their Google created Gmail or Inbox. Tesla seems to quickly be going down the same route. To that end, though, they aren’t all that’s happening, we have this cool guy named John Goodenough making waves in the battery world. He’s kind of a big deal. He co-invented lithium-ion batteries. And now he thinks he may have topped himself. You see, he’s got this solid-state battery that doesn’t suffer the same disadvantages of lithium-ion, namely, it doesn’t threaten to explode or catch fire if you charge it too fast. Switching out the liquid electrolytes of lithium-ion for glass, they can quickly charge it, have it hold a bunch of energy and last a really long time, which is cool. Exploding batteries are no fun. The Interwebs are also telling me solar, well, renewable energy as a whole, has topped nuclear power in the US, and that it’s on track to become 25% cheaper by 2022. But given how explosive the field is, I wouldn’t be surprised if that number ends up arriving earlier. To sum up: Solar! Get it!